I'm so excited to be back in the word of blogging! 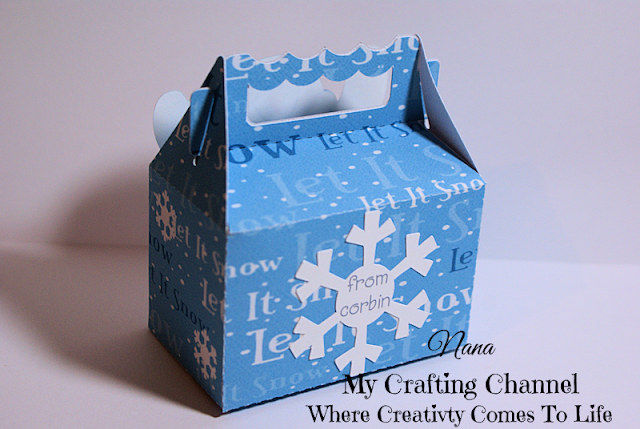 This morning I have to share with you a Treat Box I made of course for Christmas and never got around to posting. Cute box!! Glad to see you back!! I love this adorable treat box!!! Super cute!! I love the adorable snowmen! Welcome back!! These sure are cute, but I am glad it isn't cold any more. I just love these adorable snowmen and they look super cute on your super cute treat box! Oooh simply adorable !! Love this so much!! Welcome back Nana! I love your adorable treat box! The snowmen are so cute and jolly! Super cute my friend! Absolutely adorable! Those snowmen are just the cutest! Welcome back to the the bloggy world!